A couple of years ago, a friend gifted me with a copy of the cookbook, Quinoa 365: The Everyday Superfood. I’ve used cooked quinoa in these Healthy Quinoa Banana and Strawberry Muffins, but I hadn’t given much thought to baking with quinoa flour. Knowing that some folks consider quinoa to be a superfood, and with the start of a new year, it seemed like a perfect time to try something new. If you’d like to read more about the virtues of using quinoa, see: 11 Proven Health Benefits of Quinoa. The idea of healthy baking sounded good, but the creation still had to be sweet and tasty. In addition to using quinoa flour, I also substituted almond butter for half the regular butter. The end result were these crunchy and chewy chocolate chip cookies. And best of all, they’re gluten free! Preheat oven to 350 degrees and ling baking pans with parchment paper. 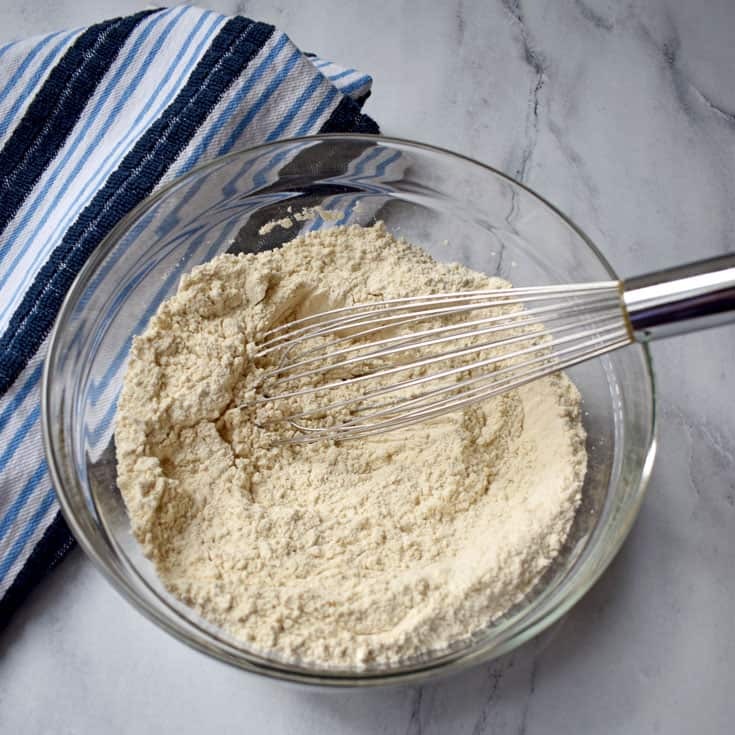 Whisk together the quinoa flour, gluten free flour, and baking soda in a medium mixing bowl. Set aside. 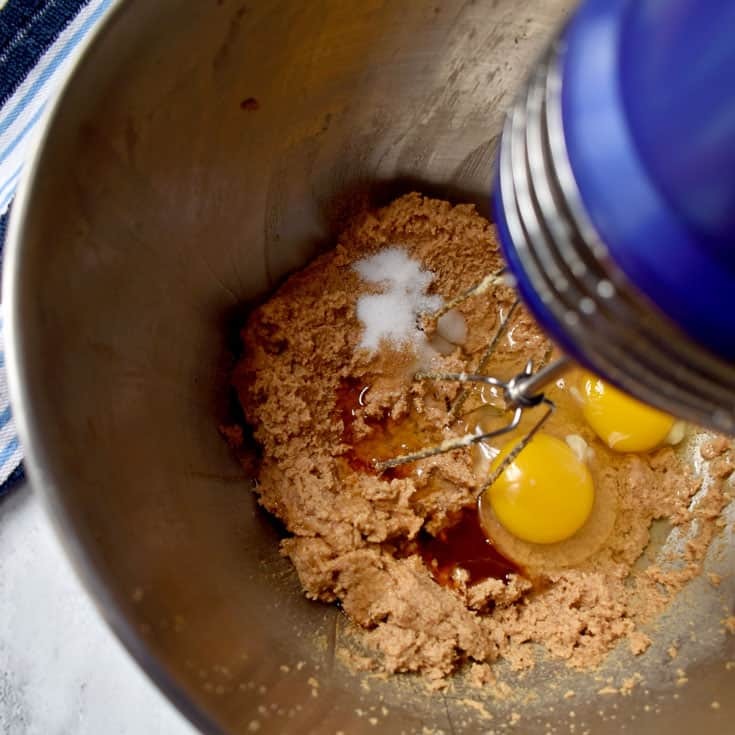 In a large mixing bowl, use an electric mixer to beat together the butter, almond butter, and sugars until smooth. Add the salt, vanilla, and eggs to the butter mixture and beat until combined. On low speed, beat the flour mixture into the butter mixture until completely incorporated. Use a 1-tablespoon scoop to drop the dough on the prepared pans. Since I was using healthier ingredients for the dough, making the cookies smaller seemed like a good idea. 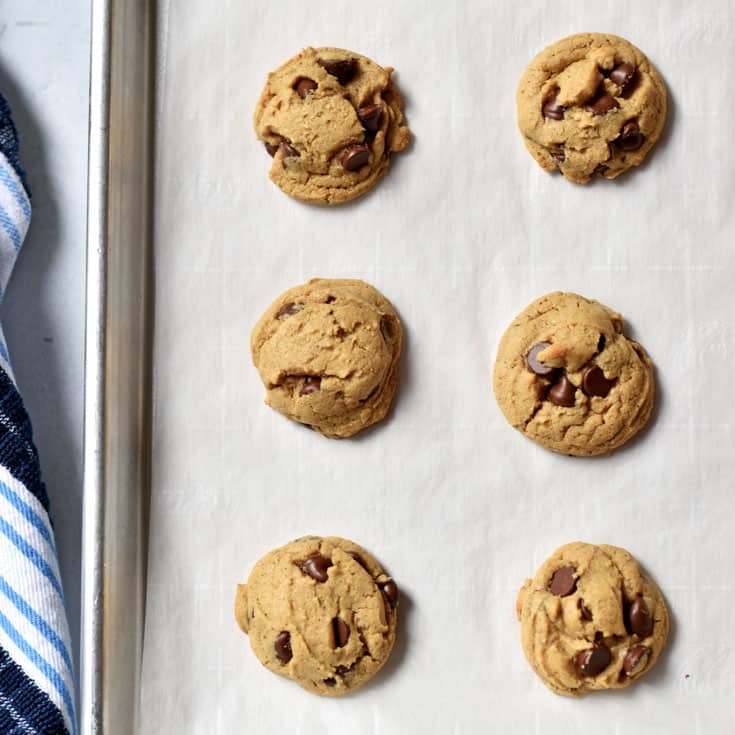 Bake for 8-10 minutes until the cookies are light brown. Allow the cookies to cool slightly on the pan before removing to a wire rack to cool completely. 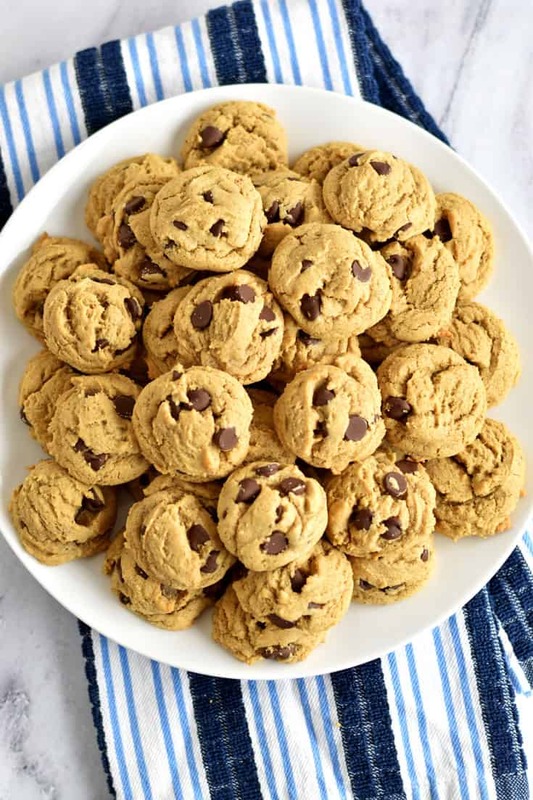 The almond butter adds a nutty flavor to the cookies. 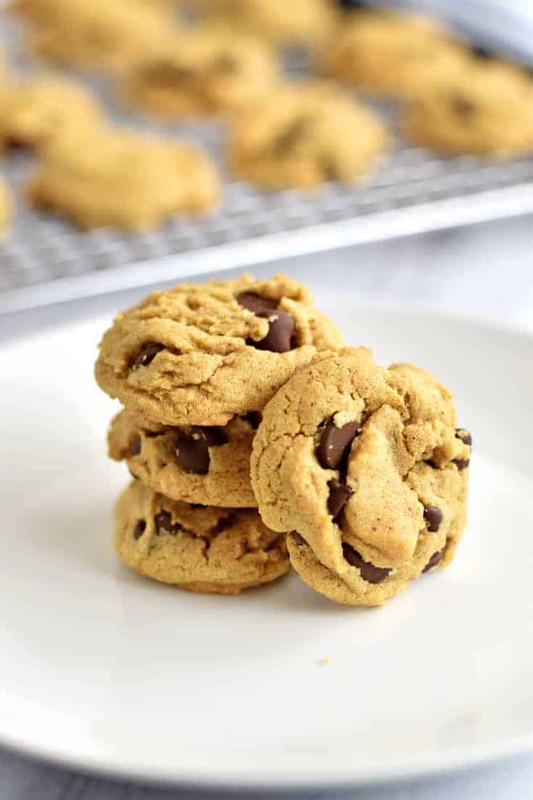 And the quinoa flour gives the cookies a soft and chewy center surrounded by crunchy edges. Jim, my husband, gave them two thumbs up, so a definite keeper in my book. Check the ingredients of your gluten free flour mix for xanthan gum. If your flour mix doesn’t contain it, try adding 1/4 teaspoon to the recipe. I used Bob’s Red Mill Gluten Free 1 to 1 Baking Flour which has xanthan gum in it. 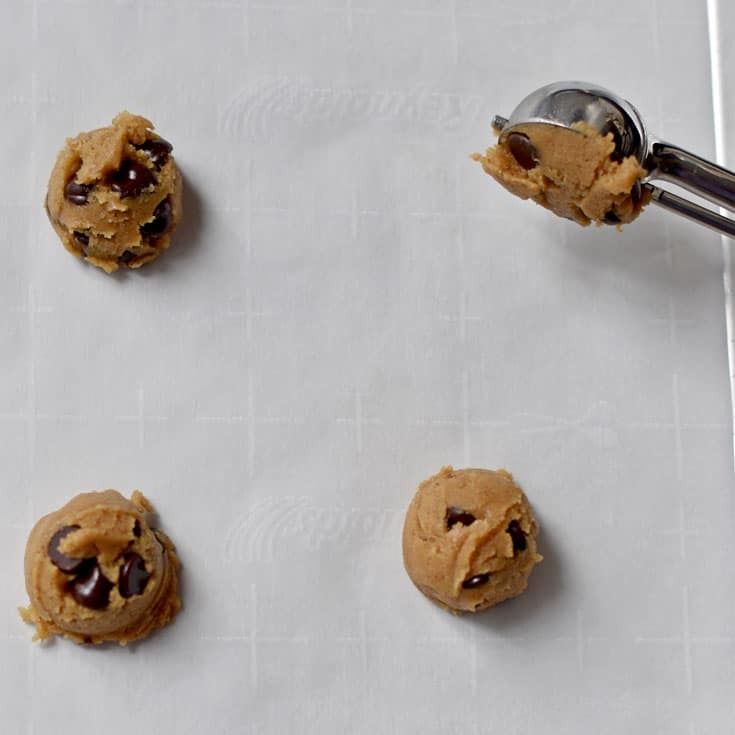 Use a cookie scoop when placing the dough on the prepared pans. The scoop guarantees the cookies are the same size and round. If you like a bigger cookie, you can use a larger scoop. You’ll need to increase the baking time by a minute or two. 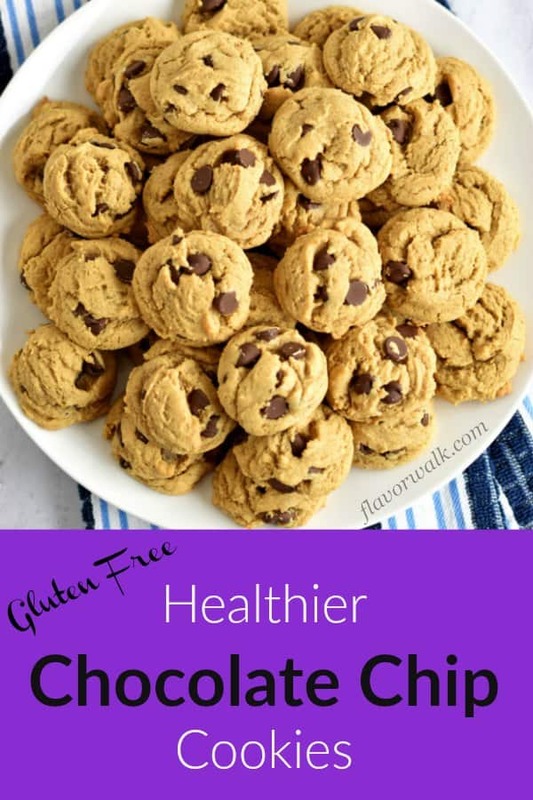 Are you looking for a healthy version of the standard chocolate chip cookie? 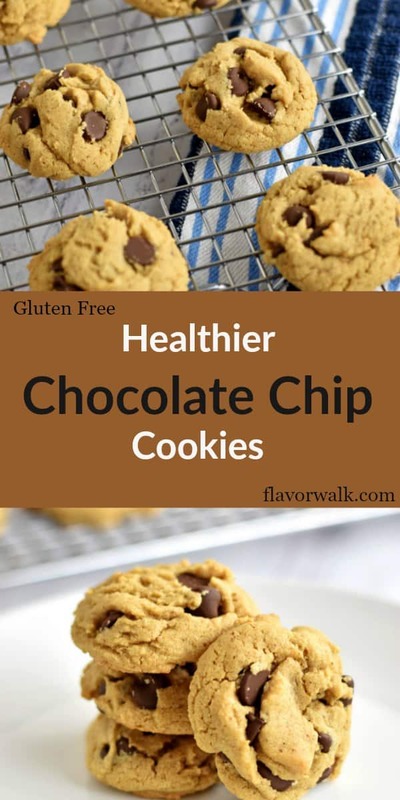 Then give these Healthier Chocolate Chip Cookies with Quinoa and Almond Butter a try. The recipe makes enough to share, but you may want to keep them all for yourself. Enjoy! 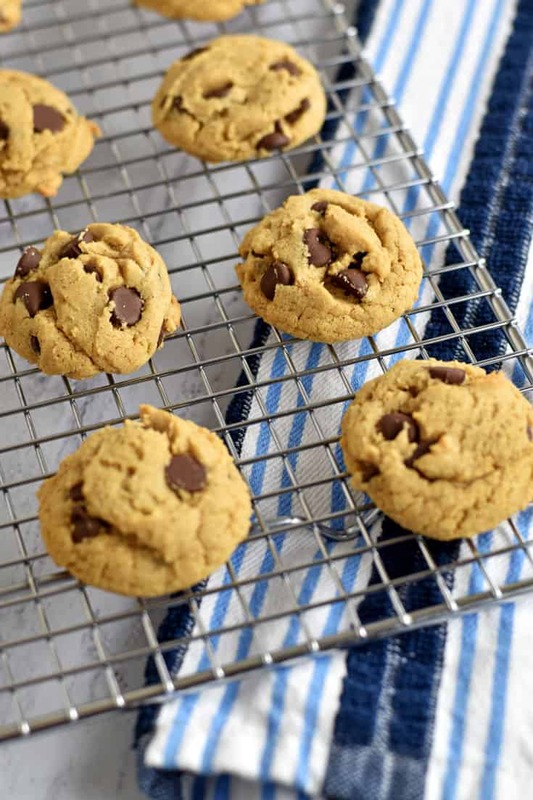 These Healthier Chocolate Chip Cookies with Quinoa and Almond Butter have crispy edges and a chewy center. The perfect cookie combination! Preheat oven to 350 degrees and line baking pans with parchment paper. In medium mixing bowl, whisk together quinoa flour, gluten free flour, and baking soda until combined. Set aside. 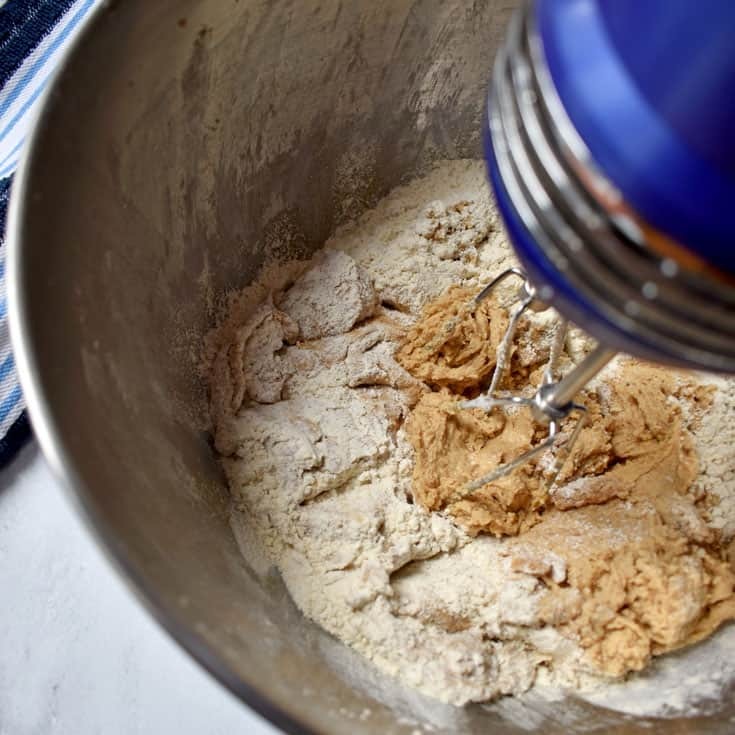 In a large mixing bowl, use an electric mixer to beat butter, almond butter, sugar, and brown sugar until smooth. Add the salt, vanilla and eggs to the butter mixture and beat until well combined. Drop the dough by 1-tablespoon portions about 2 inches apart onto the prepared pans. Bake for 8 to 10 minutes or until light brown (centers will be soft). Cool slightly on pan. Remove from pan and cool completely on wire rack. Check the ingredients of your gluten free flour mix for xanthan gum. If your flour mix doesn't contain it, try adding 1/4 teaspoon to the recipe. I used Bob's Red Mill Gluten Free 1 to 1 Baking Flour which has xanthan gum in it. If you like a bigger cookie, you can use a larger scoop. You'll need to increase the baking time by a minute or two. Cook time is per pan of cookies. 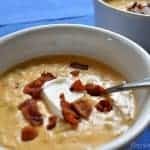 This recipe was first published in January 2018, but was published again in January 2019 to include updated images, step by step instructions, and nutritional information. 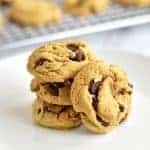 I’m always looking for new chocolate chip cookie recipes. Adding quinoa flour to sneak some extra healthy stuff into my family – BONUS! These melt in your mouth. So delicious. Thanks Patty. I’m glad you enjoyed them.